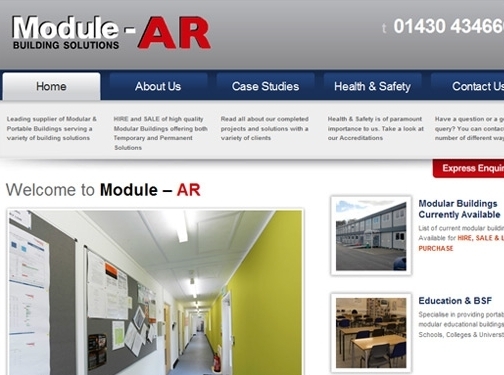 Module AR are an established supplier of temporary and modular building solutions. With a wide variety of different styles and sizes available they can provide modular buildings for any situation and requirement, with temporary buildings both for sale or hire. UK (Hull) based company offering modular and portable buildings. Website features details of their services, case studies (including photos and job specifications), health and safety information, and full company contact details at the footer of each page.